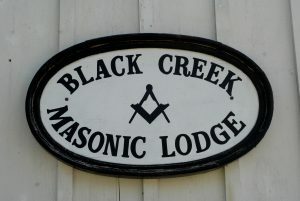 Black Creek Masonic Heritage: The purpose of the Masonic Lodge at Black Creek Pioneer Village is to present Masonry in a favourable light to the many visitors who tour the village each year and to give them a better understanding of the place of Freemasonry in the social fabric of an 1867 crossroads rural community. 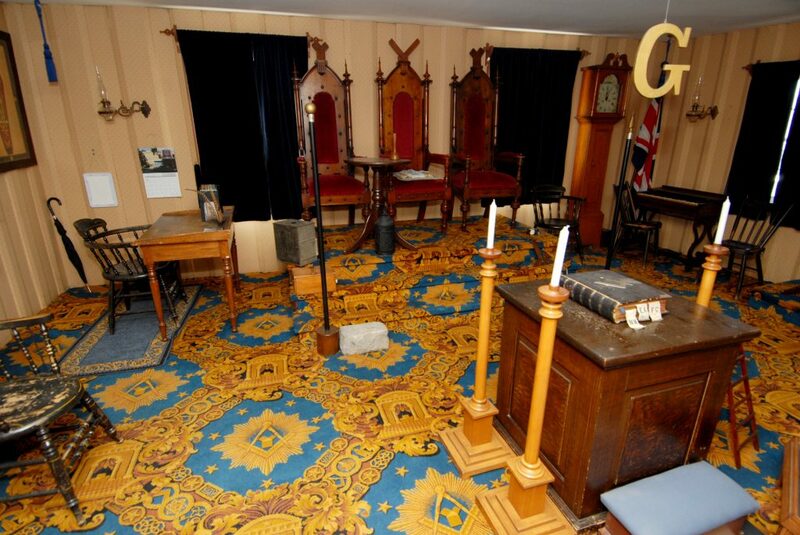 The Lodge Room is furnished with pre-Confederation furnishings and is staffed by volunteer Masonic Interpreters. 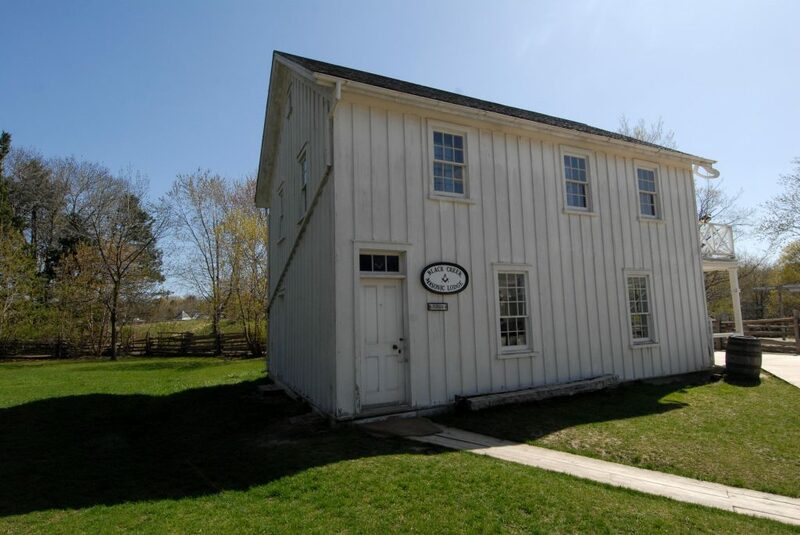 The Black Creek Masonic Heritage Committee shall consist of a Chairman, a Secretary, five Weekly Captains, the Supervisor of Education and Interpretation at Black Creek Pioneer Village and several Interpreters who are interested in serving on the Committee. A visit to Black Creek Pioneer Village is a step back in time to 19th-century Ontario. More than 35 authentically restored homes, workshops, public buildings and farms recreate the atmosphere of life in a rural Victorian community of the 1860s. Craftspeople and workers wearing period costumes demonstrate skills such as open-hearth cooking, bread-making, looming, milling, blacksmithing, sewing, printing and more. Walk through the village and into the homes and buildings, visit the inn, and stroll through farms and forests. During the holiday season in November and December, the village offers many special events to celebrate Christmas as it was 130 years ago. ­ Black Creek Pioneer Village is a heritage project of the Metropolitan Toronto and Region Conservation Authority. Funding comes from the Provincial and Municipal Governments; the Ontario Ministry of Culture, Tourism and Recreation; admissions and sales; and through donations to the Conservation Foundation of Greater Toronto.